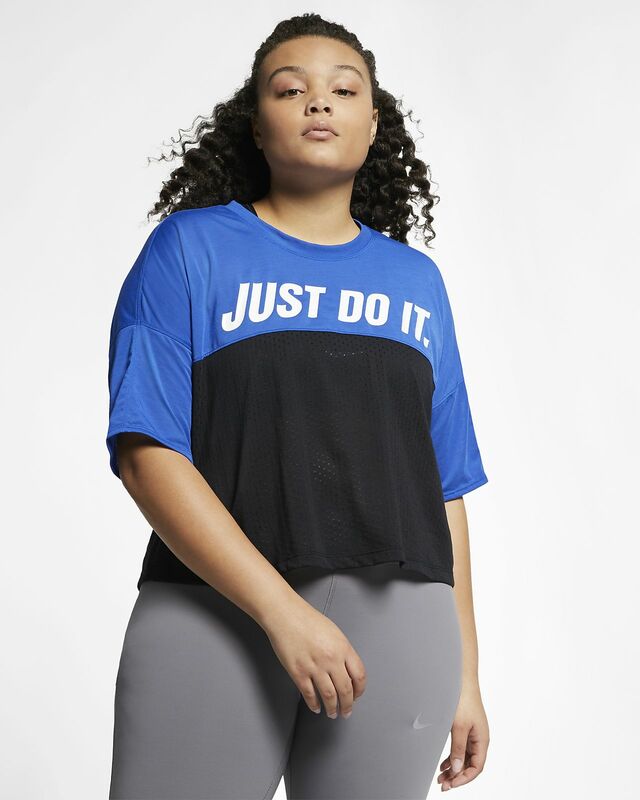 The Nike Tailwind Running Top (Plus Size) sets you up in soft, lightweight fabric. Mesh panels help cool your run while the bold color block design and "Just Do It." graphic kick it into high gear. Straight hem hits above the hips.